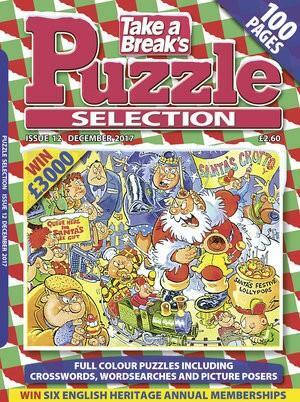 A huge selection of puzzles are featured in this light-hearted puzzle magazine. There are over 100 puzzles in each issue and every month there are also loads of great prizes to be won. If it’s top variety you’re after, Puzzle Selection is your ideal choice. great entertainment for the whole family. i have to make sure i get it as soon as it comes through the letterbox or it disappears! !